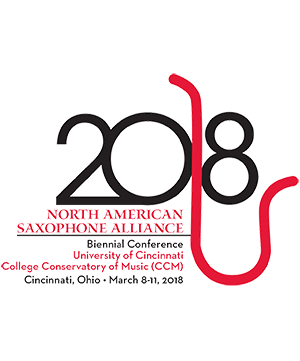 Bio: Saxophonist, composer, educator, and curator, Michael Rene Torres, currently serves as Lecturer of Saxophone at The Ohio State University. He is also the founder and Artistic Director of the Columbus Ohio Discovery Ensemble; a contemporary music ensemble dedicated to the promotion, performance, and perception of new music in Central Ohio. Additionally, Michael is an Advisory Board member of the Johnstone Fund for New Music which advances the performance of new music for the benefit of the Central Ohio community. Michael has commissioned and premiered several works for the concert saxophone and is an active chamber musician as a member of the flute/saxophone duet, Tower Duo. A winner of the Ohio Arts Council Individual Excellence Award and the Greater Columbus Arts Council Composition Fellowship, Torres’ compositional interests are in chamber music that explores the juxtaposition of consonance and dissonance and is often inspired by psychology. Michael is a Conn-Selmer Endorsing Artist. Erin Helgeson Torres Flute Dr. Erin Helgeson Torres is the Instructor of Flute at Ohio Northern University and Muskingum U . . .